Francesca Bradley-Curran has a big name. But when she was born at 24 weeks, she was very, very tiny. Unfortunately, she was also very sick. But God sent the premature baby with feet the size of pennies a miracle! 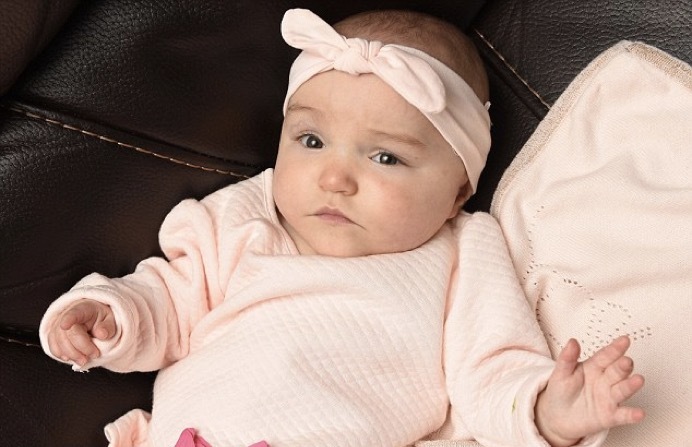 When Francesca was born, she weighed only 1lb 6oz. And her little body had so much to fight. 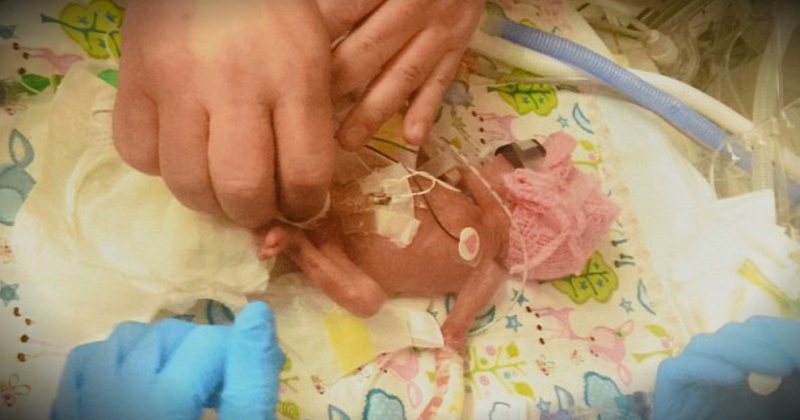 "She was just tiny, and so poorly," explained Francesca's mom, Vanessa. "We were told it was hour by hour with her, and they didn't think she would survive. Her blood was full of infections." The premature baby with feet the size of pennies had meningitis, septicaemia, sepsis, two collapsed lungs and kidney problems. The room was filled with doctors and nurses, all warning Vanessa to expect the worst. "They were using just a finger to bring her around because she was so small," Vanessa recalled. “It took 11 minutes for her to breathe. It was torture, not knowing if she was going to survive." But God meant for Vanessa and her husband, Paul, to have this baby! Vanessa was originally told she couldn't have children because of problems with her ovaries. Then she suddenly found herself pregnant. 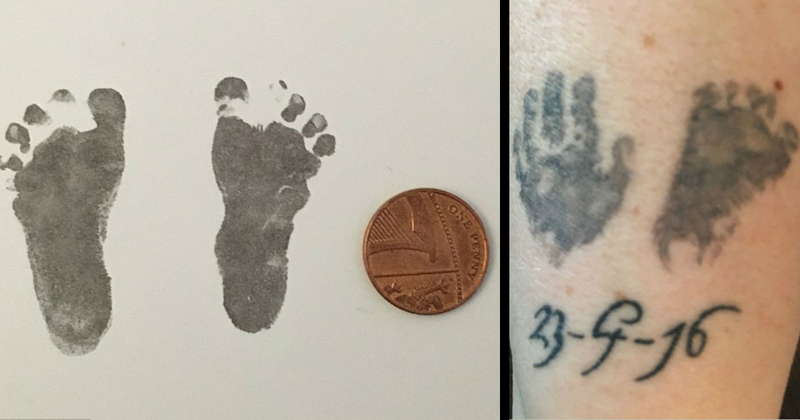 The medical staff was so sure the premature baby with feet the size of pennies wouldn't make it, they gave Vanessa keepsakes of her tiny footprints, which she had tattooed onto her wrist. But little Francesca kept fighting. She underwent 15 blood transfusions and also had laser eye surgery for a rare condition that would have otherwise caused blindness. Despite every obstacle, the little warrior held on. "She just kept getting stronger each day, then something else would happen," Vanessa said. "But after eight weeks, she was off her incubator. The doctors couldn’t believe she was still alive." The baby girl was discharged from the hospital at 17 weeks. Everyone agrees she's a complete miracle! Nearly a year later, Francesca is perfectly happy and healthy. She's free of life supporting medications, wires and oxygen. Her proud mom describes her as a complete joy. "It's just great to finally have her home," she said. "I didn't think she would be here." God meant for this lovely couple to have a baby, and He always makes good on His promises! 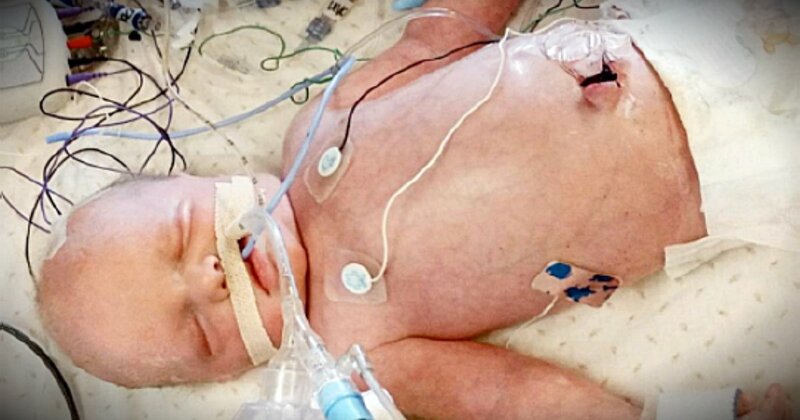 Baby boy born with no heartbeat gets a miracle as his mom nurses him!